As the energies shift, there is a restless vibe to put plans into motion to manifest your greatest wishes. This can present itself as a challenge, perhaps because Mars is already in its shadow phase, but the urge to push forward and move on still remains. 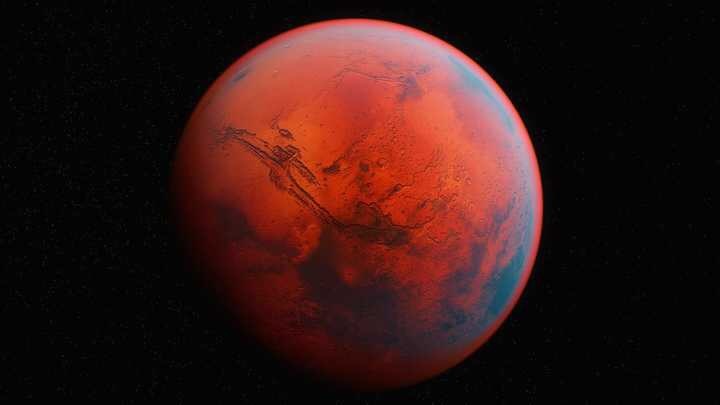 There is a sense of building taking place here during the first three months; the idea of moving into new territory does not seem to available until Mars is direct in late August. Hasty actions will not do during the first several months of this transit, and may leave you chomping at the bit to make it a new phase. Aquarius is a group-oriented sign, so do be sure to work well with others to help bring about your desired changes. Hang in there; remain steadfast in the pursuit of your hopes and dreams. You have certainly come too far to give up now, so don’t let the lull that will be the mood of July and August discourage you in any way. Embrace a go-with-the-flow attitude and do what you can; handle your existing priorities rather than taking on new ones and remember to keep a balance between work, home, and family. Be easygoing in your commitments, but do not trust blindly. There is a tendency for others to not show their true colors, so do not accept everything you are told as reality. The Universe wants you to take this time to discover what is really real and what may be a smokescreen, so do not commit to anything during this time. Victories of all types are still possible during this extended stay in Aquarius and Capricorn, but with some situations, the idea of being patient for Mars to achieve direct motion may indeed feel restrictive. By the time Mars moves onto Pisces, you will have forgotten all of this, as your solutions have presented themselves, and you are patting yourself on the back for a job well done. Good fences make good neighbors, so they say, but the occasional conversation with your neighbor over the garden wall can prove to be enlightening. In the month of June you are standing in your power, knowing that life is ready to give birth to a new phase, but perhaps uncertain as to why you feel parts of life are being held up by the Universe. This entry was posted in General Tarot, Patreon, Readings, Through the Eyes of Tarot and tagged Aquarius, Capricorn, Guidance, Mars, Path, Reading, Retrograde, Tarot. Mars is exalted in Capricorn, and you can put Mars’ energy to good use now. Take an even-keel approach to any challenges which may arise. You will be able to deem what is worthy and what is not worth your time, as you approach the next leg of your journey. Keep your movements steady, and do not jump to conclusions when faced with a choice. You have free will, and you are in charge of your ultimate fate. At some point during this transit, there is a drastic change to what you have come to know. You will be moving on, leaving behind any nonsense, retaining all the good memories, and knowing that even if some of the change feels a bit chaotic it will bring a much-needed rebirth to your world. Around mid-April, there will be additional energies at the time of the New Moon, which bring in transformation like you have never before experienced. Hold onto your hopes and dreams; you are not losing anything here, nor are you being cheated in any way. Your stress over a particular matter will be gone soon, and a dose of good luck is coming your way. Be ready to receive. You may now also access my Special Tarot Guidance through my Facebook Members Only Area, by clicking on the blue crystal ball at the top of my page. Try the first month for only $1, then $5.99 month thereafter. This entry was posted in General Tarot, Patreon, Readings, Through the Eyes of Tarot and tagged Capricorn, Guidance, Mars, Path, Reading, Tarot. As Mars first moves into home sign of Scorpio, Mercury will be a week into it’s final retrograde of 2017, and Saturn will be ten days out from leaving Sagittarius and moving on into Capricorn. So, our planet of energy and action, may leave everyone feeling slightly restricted in a particular area, until this has passed. If you are unable to barrel forward with your changes, then work behind the scenes to accomplish as much as you can. In spite of the unknown, and the possibility of waivering on a decision, or two, you can ground yourself, and focus on the more practical elements of life. This does not render Mars impotent, rather it is the driving force for change, giving you the power to feel you can do this! If you do not try to do it all in one day, success and victory can be yours. The stress surrounding Saturn will be lifting, and you will know you have won this battle. Remember, Mars’ energy can be aggressive, so do curb your aggression in accordance with the phases of the Moon. You are able to gather together everything you need to begin working on your plan for the next part of your journey. Creative new beginnings await you. By the time Saturn has changed signs, you can feel the stress lifting, and know you have won the fight. Balance your emotions as you tackle your changes one at a time. You will feel more in your power, and better able to harness the can-do-it vibe Mars brings to the table, after December 22. For maximum potential, use Mars in Scorpio, at the time of the New Moon in Capricorn on January 16, to help you utilize the power you need to achieve your hopes and dreams. By the time you reach January 16, you still have ten days of Mars in Scorpio, and intuitively you know you can put together a viable plan for long-term change. I have prepared a special Tarot Guidance for Mars in Scorpio (20:49 in length), available now on Patreon as part of a $5 per month subscription. To join, go to https://patreon.com/tarotbycecelia/ – don’t forget to download the app, login and enjoy! This entry was posted in General Tarot, Love and Finance, Patreon, Readings, Through the Eyes of Tarot, YouTube Videos and tagged Guidance, Mars, Path, Reading, Scorpio, Tarot. Mars in Libra energy can, at times, be a little undecided, but it also has a sense of justice and can strive for justice, peace, and fairness for all. Your biggest wish is to find the security you need in life, that which was once lost since 2012. It is time to make that serious lack in your life be merely a distant memory. Your new beginning arrives during Mars in Libra, and, if you are not dancing through the streets, you are somehow kicking your heels up in celebration. It is about time! You will find yourself in a new position, one where you need to consider what it is that you truly want now. What is your vision for change? What are you passionate about creating in your life? Stand up and take charge. Carefully assess all potential situations, and take a conservative approach for the moment. Mars in Libra will ask you to weigh your actions carefully before proceeding, but you will move on and possibly take a much-needed break. You will be able to see clearly what remains; you will know what you are working with, and what is no longer of any use, and simply a part of shattered dreams. You have been guided to a place of balance, where you can turn your fantasies into your rewards. Who says dreams don’t come true? Do not let any sense of hesitance fool you; you are making progress now, and restoring balance to your life which was out of balance for so long. Once Mars moves on into home sign of Scorpio, you can move onto the next thing on your agenda. I have prepared a special Tarot Guidance for the Mars in Libra (19:25 in length). This exclusive, in-depth reading is available as part of a $5 per month pledge on Patreon. This entry was posted in General Tarot, Love and Finance, Patreon, Readings, Through the Eyes of Tarot, YouTube Videos and tagged Guidance, Libra, Mars, Path, Reading, Tarot. The Universe is working overtime doing its thing; Mars enters Virgo at the time of the Full Moon in Pisces and Mercury returns to direct motion. You will feel a surge of faith that you can once again trust in the process and tackle an issue which has been hanging over you for a while. You may somehow associate this issue with the past and feel it prevents you from building your dream life on the new foundation you have made for yourself. The first couple of weeks may feel as if you are at the helm, navigating a stormy sea, but the feeling quickly passes. You are ready! Mars is the planet of action and loves to bring extra energy to the table wherever it may currently be touching your life. Try not to spread yourself too thin when it comes to various commitments you may have made. Overextension could create disappointments. Strive to use this Mars energy wisely, for with each passing day, other energies within the Universe will be improving as well. Your potential for manifestation is mangnificent indeed. You will know when the timing is right for acting upon opportunities which come your way. There is no scapegoat here, nowehere to lay the blame for anything which may have previously gone wrong. At this point, it is all merely water under the bridge, and you need to prepare to move forward and keep up with the motion which is coming your way. Freeing yourself from a particular situation will allow you a new perspective on your life. You may need to make a sacrifice, but it will be well worth it, for, by the third week of October, when Mars is ready to move on into Libra, you will be rejoicing in your good karma, should you be so deserving. Creative new beginnings are yours and the Universe has played a part in helping you to weave this tale. This entry was posted in General Tarot, Love and Finance, Patreon, Readings, Through the Eyes of Tarot, YouTube Videos and tagged Guidance, Mars, Path, Reading, Tarot, Virgo.